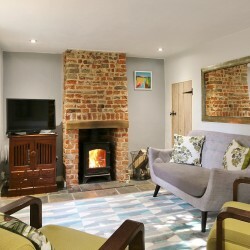 Billy Highs Cottage is a delightful, quintessential North Norfolk brick and flint cottage situated in the sought after coastal village of Cley-next-the-Sea. 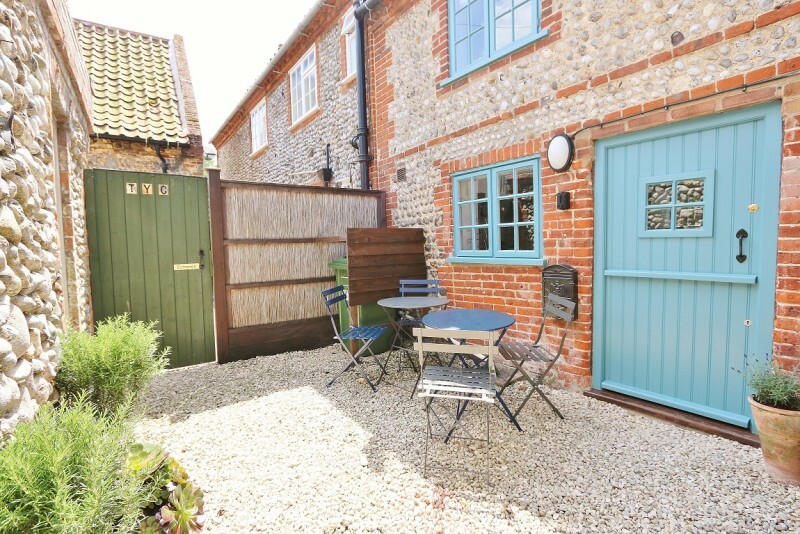 Sitting in a lovely quiet location up the little lane ‘Town Yard’ this cottage is tucked away from the hustle and bustle of the villages busy main street but handily is only a couple of minutes walk away! 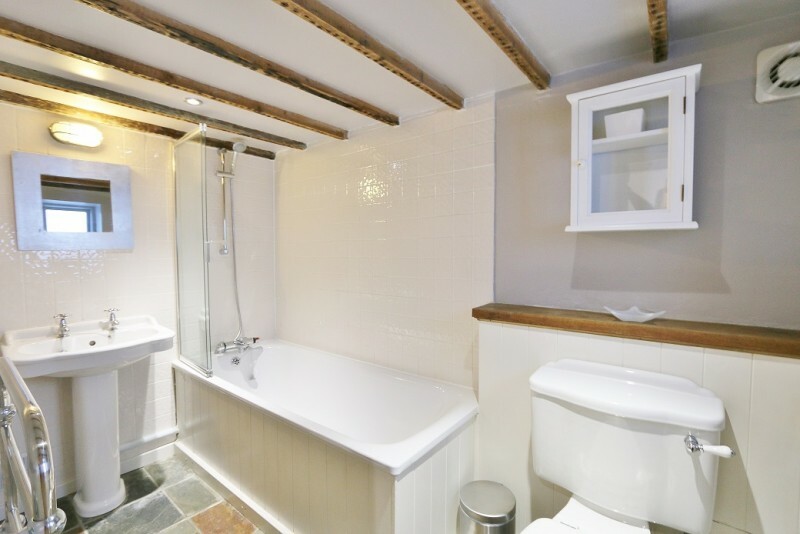 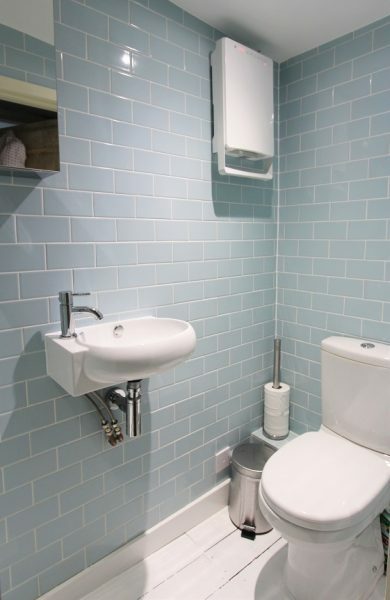 Sleeping 4 in three bedrooms this charming cottage has been recently refurnished and redecorated and is now looking as stylish and modern inside as it does chocolate-box traditional outside. 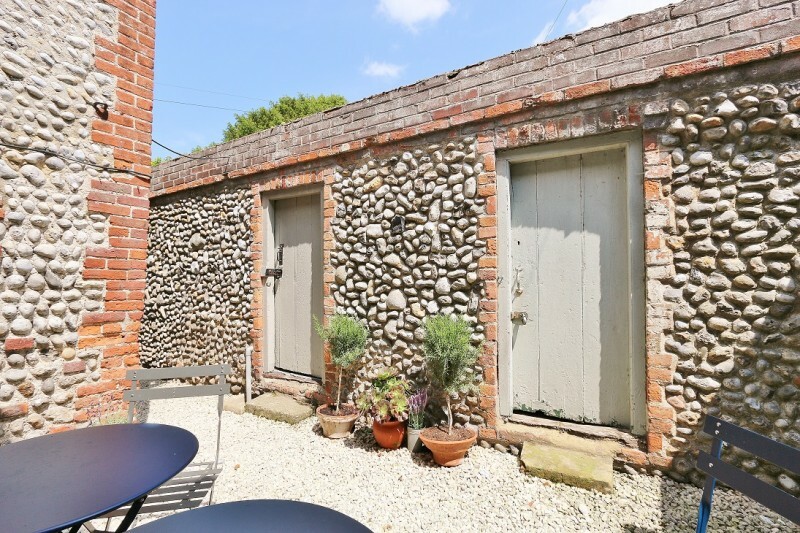 Billy Highs benefits from a pretty little enclosed courtyard garden and a parking space for small cars on the road at the gable end of the building. 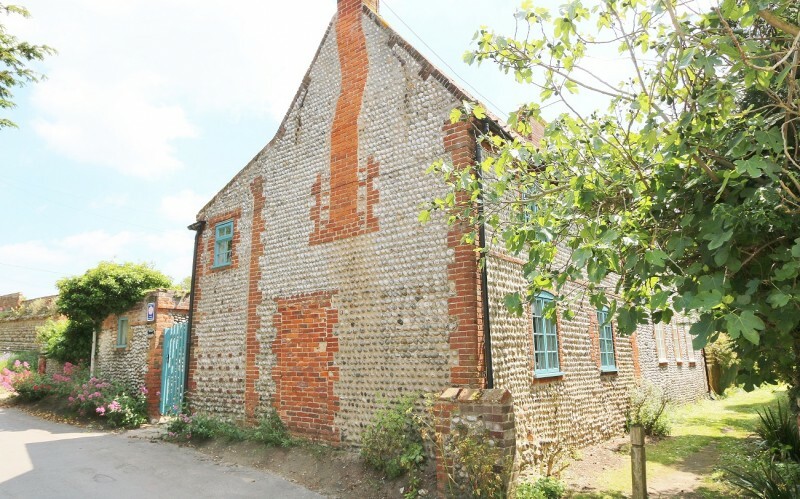 If you have a larger car or cant use the space at the gable end there is a huge 100% free car park 50 yards up the road. 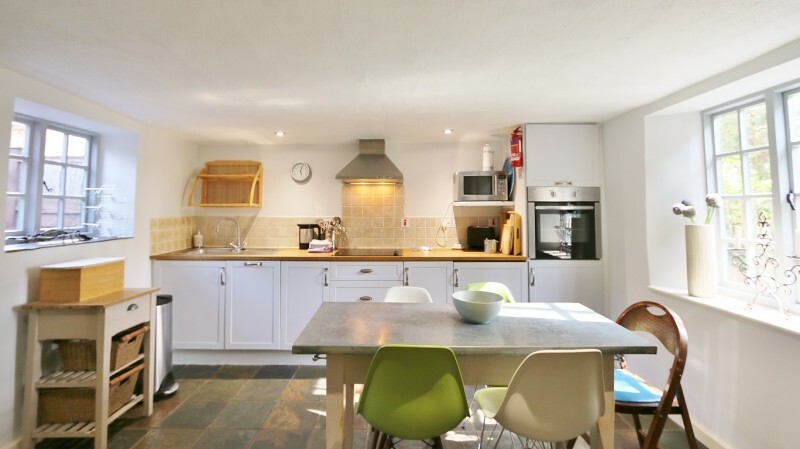 The accommodation comprises of a good sized open plan living space with plenty of light and consisting of a modern, fully integrated kitchen, dining area and comfy sitting area. 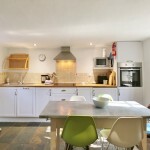 The kitchen has custom made, painted units under a hard wood work top and houses a brushed stainless steel electric fan oven, halogen hob, slimline dishwasher, fridge with icebox, Nespresso Coffee machine and all of the equipment one could need to whip up gastronomic masterpieces during your stay. 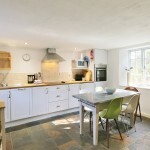 The modern dining table just off the kitchen can seat up to six. 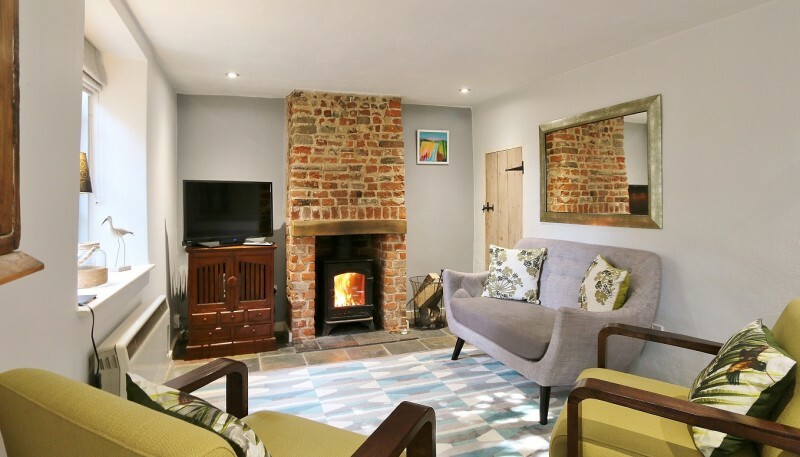 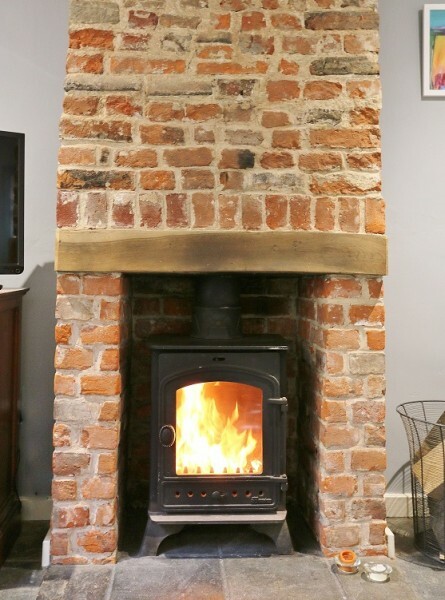 The comfy sitting area has stylish soft furnishings arranged around the gorgeous, exposed brick, original fireplace which now houses a modern logburner. 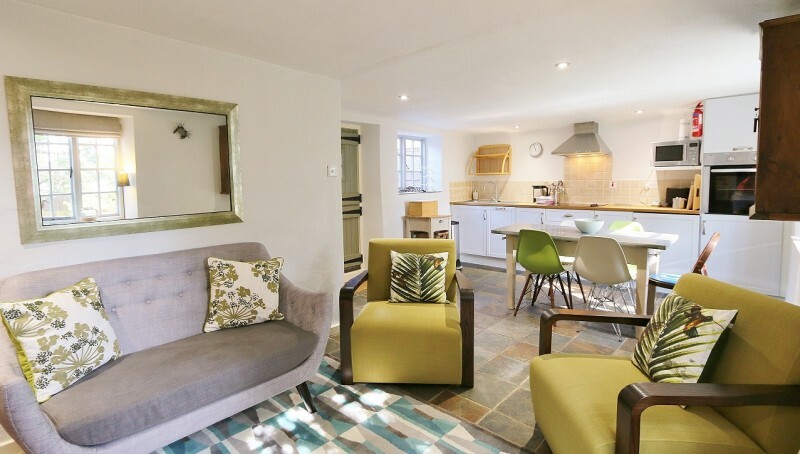 This area is really homely and ideal for cosy nights in, in front of the roaring fire watching a film or two on the good sized LED Smart TV which has FreeSat and enjoying a bottle of good wine. 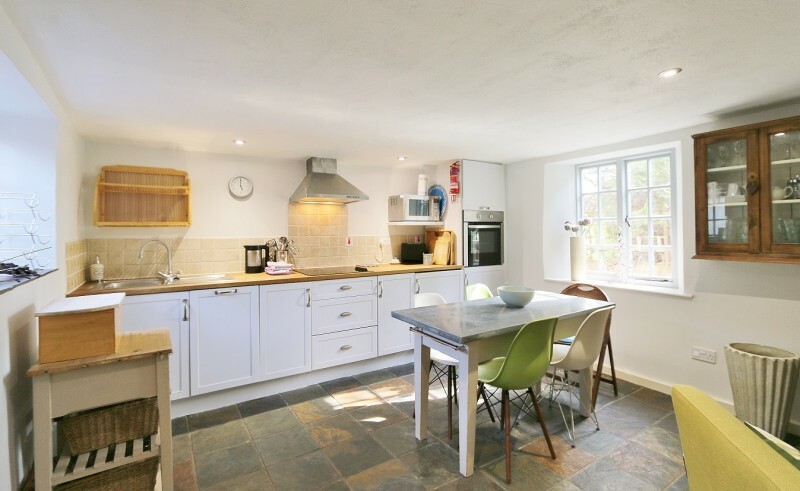 The open plan layout downstairs at Billy Highs give it a really nice spacious feel, so unusual in small cottages of its age. 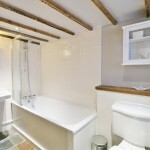 There is also a modern bathroom with a shower above the bath. 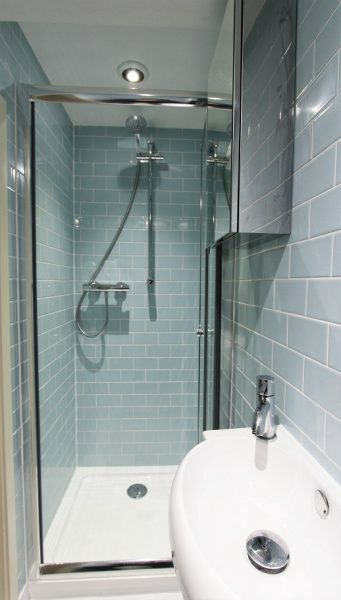 An indicator of just how old Billy Highs is is the low ceiling height in the bathroom… although not restricting in anyway people over 6 foot may struggle slightly to stand up fully in the shower! 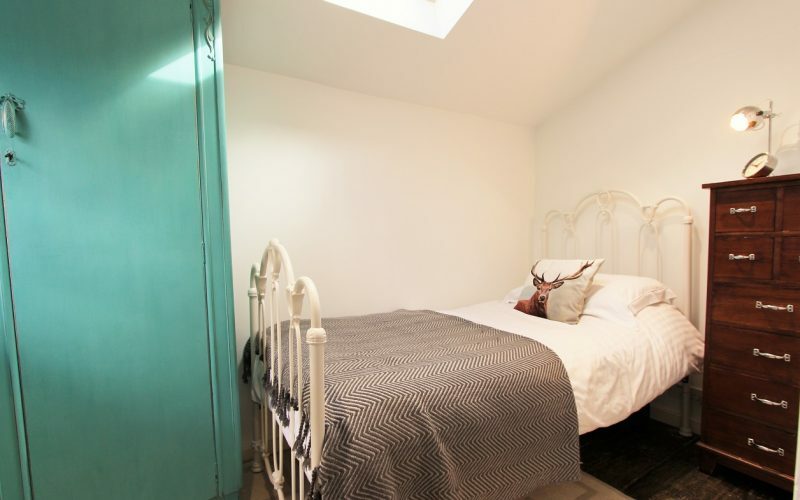 Upstairs are three bedrooms… at the top of the stairs on the right is the smallest bedroom which is home to a lovely metal framed single bed. 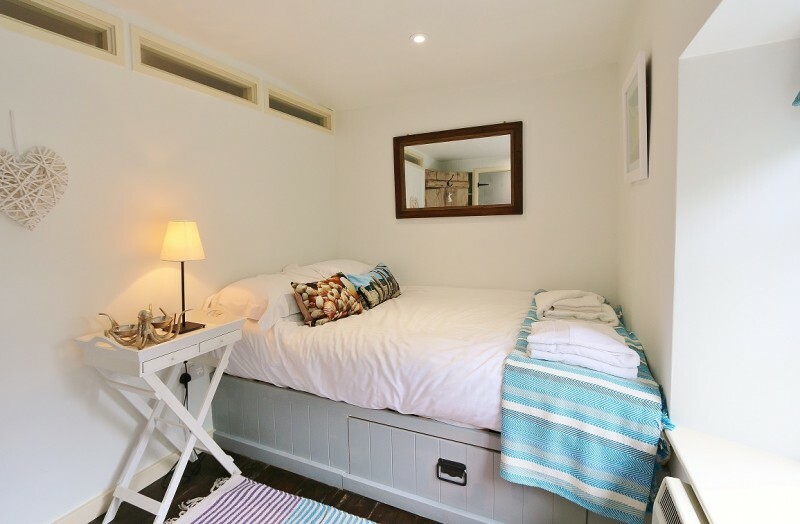 To the left at the top of the stairs is a hallway off which is another smallish bedroom that has a super comfy cabin bed in it. 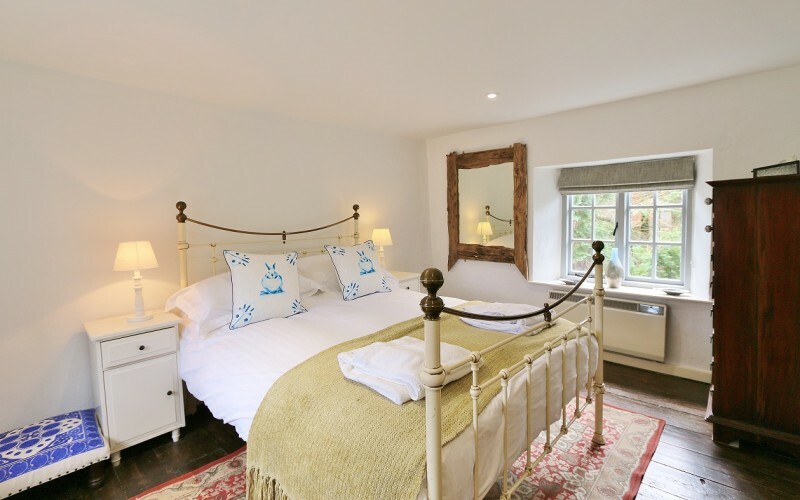 This bed is somewhere between a single and a double – we technically advertise this bedroom in Billy Highs as a single but couples are welcome to use this room if they don’t mind snuggling up!! 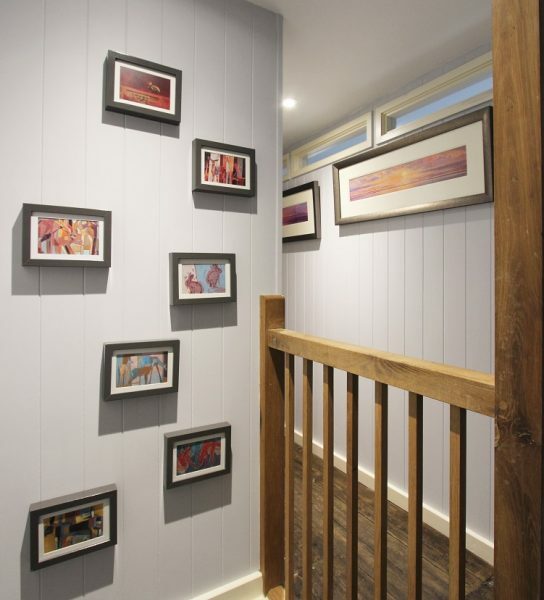 At the end of the corridor is the large master bedroom. 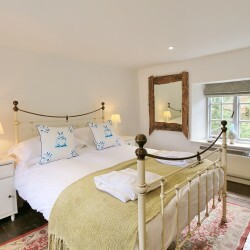 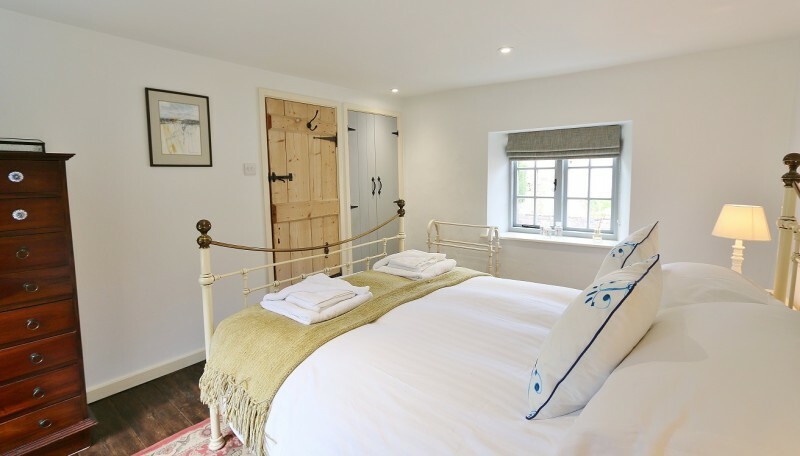 This room has windows on each side of the comfy metal framed double bed making it lovely, light and airy. 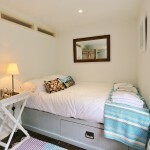 All of the bedrooms have good storage. 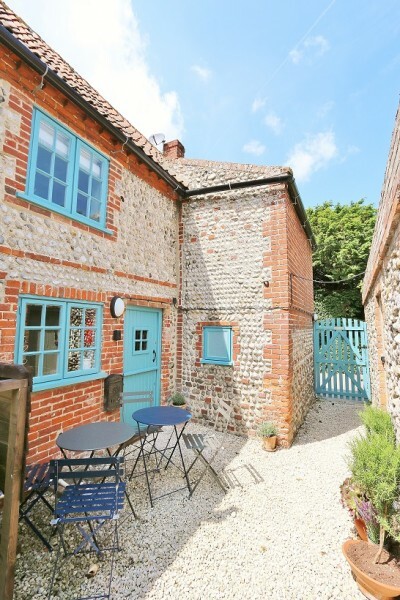 Outside there is a pretty little courtyard garden which can be a real sun-trap. 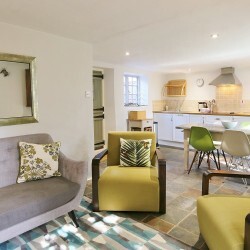 This area is perfect for sitting out and reading a book, enjoying the sun with a glass of something chilled or dining’alfresco’. 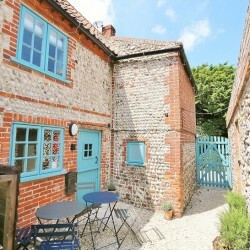 On the opposite side of the courtyard to the house is an outhouse in which is the washing machine. 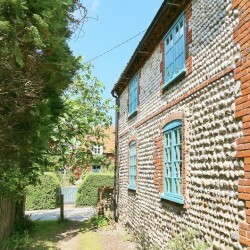 It is worth noting that the cottage behind Billy Highs has a right of way through the courtyard for access. 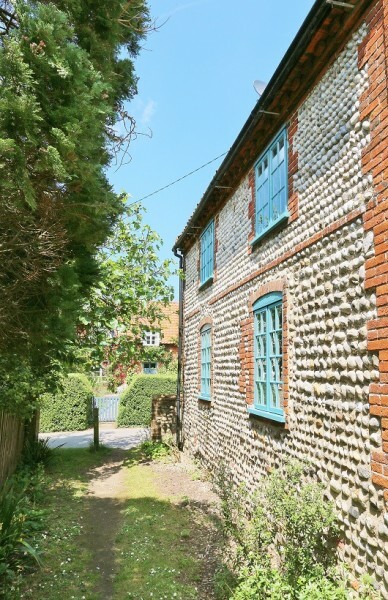 Billy Highs is a gorgeous, traditional Norfolk brick and flint cottage externally and is surprisingly spacious, light, bright, and stylish internally. 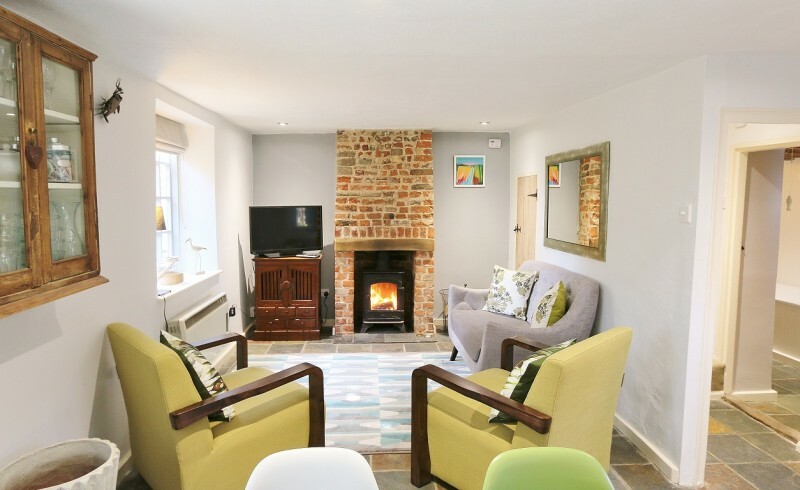 Its lovely quiet location make it the perfect retreat for couples or small families and its proximity to all of the wonderful amenities that Cley-next-the-Sea, and the North Norfolk coast has to offer make it a truly stunning little coastal getaway.